Dimitrov’s come a long way (I was tempted to use the J word but I won’t) but I really like the way that Monfils is playing right now. He hasn’t dropped a set all week, which by his standards, is pretty great. His results have been consistent of late, but he will always have that edge where he can raise his game to majestic standards. It could last for ten minutes, or it could be a couple of sets, but there’s enough evidence to suggest that Monfils will be up for this. I’m sticking by my original tip that Monfils will make the quarter-finals. 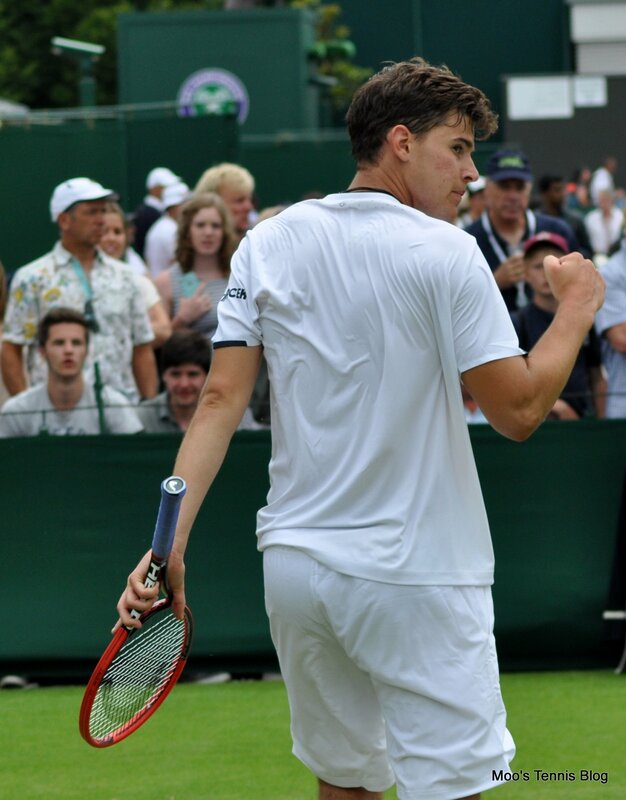 This has been a brilliant breakthrough year for Dominic Thiem. He has qualified for seven main draws, earnt a win over the Australian Open champion, Stan Wawrinka in Madrid, reached his first ATP final in Kitzbuhel and now, has reached the second week of a Grand Slam for the first time in his career. Thiem’s best results have come on the clay, but he’s had a mega week on the hard courts after not winning a match in Toronto and Cincy. 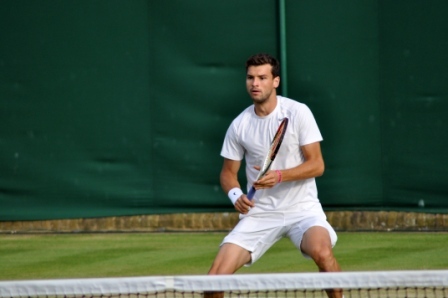 In the second round, he came from two sets down to beat good friend, Ernests Gulbis. His best win of the week came in the third round as he eased past Feliciano Lopez, 6-4 6-2 6-3. Lopez is a big server, but Thiem broke his serve on six occasions. The loss of David Ferrer from the draw has opened up the third quarter for Marin Cilic and Gilles Simon. Cilic dropped a set to Kevin Anderson, but came through in four sets, meanwhile Simon took out a physically tiring, Ferrer in four sets. In one of the more eye opening head-to-heads, Simon has never lost to Cilic in four previous encounters. They last played at the Australian Open earlier this year where Simon came from two sets to one down to win, 4-6 7-6(3) 6-7(5) 6-1 6-2. All of their previous matches have gone the distance. This is another match where I can’t make my mind up. I was 100% for Cilic until I saw the head-to-head… i’ll stick with my instinct and Cilic scoring a first ever win over Simon. Roberto Bautista Agut is a pretty solid candidate for the ATP’s most improved player in 2014. He went a little quiet during the summer hard court season, but has done well at the US Open, reaching the second week of a Grand Slam for just the second time in his career. He faces an uphill struggle against Roger Federer in the fourth round. Fed somehow managed to lose a set to Marcel Granollers in the third round before cruising through in four sets, 4-6 6-1 6-1 6-1. Perhaps Bautista Agut could get a set, but I don’t feel there’s much chance of the upset in this match. I’ll go opposite winners but same number of sets for all games except Federer’s, which I agree with. Monfils will be off to a flying start then Dimitrov will turn the tables and cause Gael’s unforced error count to skyrocket. Berdych and Thiem will go neck and neck in a mammoth 5 setter where we’ll all be cursing the 5th set tiebreak rule. Berdych will break a racquet. Cilic will look like he’s all over Simon, then in the third set Simon’s game will start to frustrate Marin and his temperament will get the better of him, resulting in the head to head being further in Gilles’ favour. Federer will win in 3 but one set will be 7-5 or 7-6. You read it here first, peeps…sit back and watch it unfold, enjoy!